Should we let you know? If you want us to notify you when we publish a new audio guide, leave us your name and email address. We will not use your information for commercial purposes or distribute it to third parties. You can insert this audioguide on your website. If you are not from around here, it is normal that the name Tubal doesn’t sound familiar to you, because it was his grandfather Noah who took all the fame, with his giant Ark and his endless pairs of animals. But you must know that his grandson Tubal, who after surviving the Flood and drying his socks, came to the Iberian Peninsula. 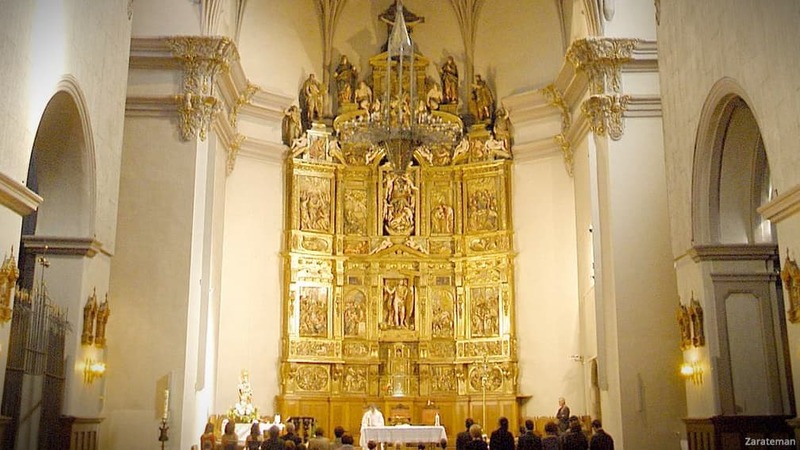 Once here, strolling through what was to be Navarre, he felt the need to found a city, and that is just what he did. Today, we call that town Tafalla. Although if you lack the faith to believe this story, you can keep the other version. It says that its founders were the Muslims who arrived in 711 and that its original name would have been Altafaylla. And the truth is that it does sound like Arabic, but in reality, there is no conclusive proof either. So, do not discard Tubal, just in case. There might be a reason why today, it gives the name to one of the most famous restaurants in the area. 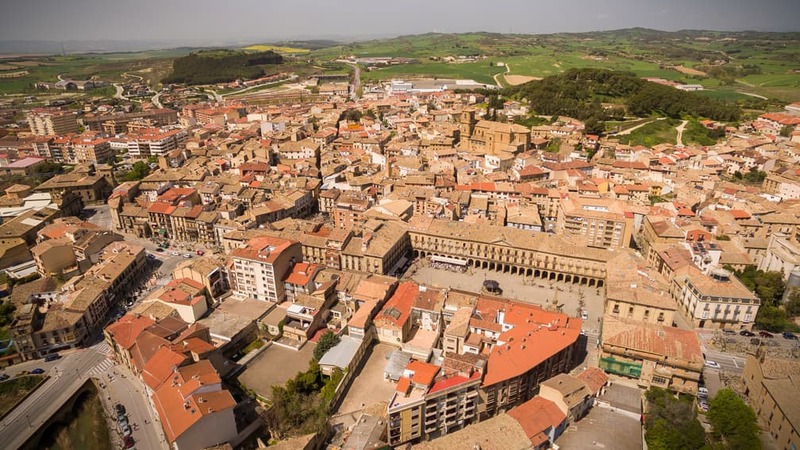 There are a few medieval documents with references to the city, and we know that the Black Death killed almost all its inhabitants, back in the mid-fourteenth century. 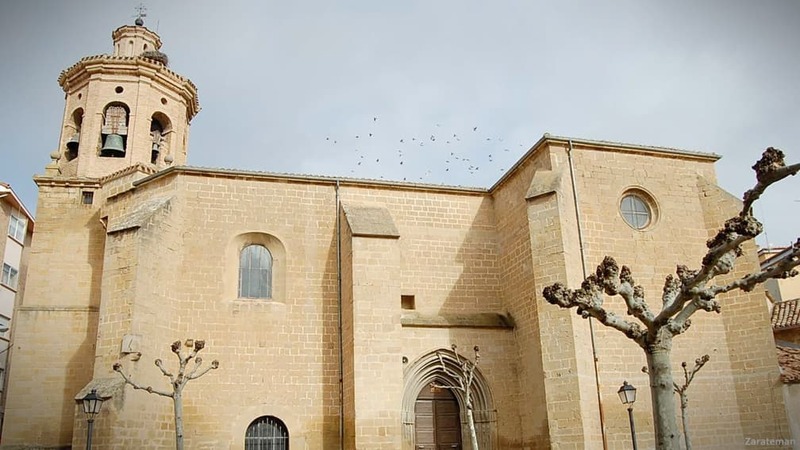 We also know that, in the following century, the people of Tafalla were declared Franks and were exempt of all servitude; we also know, that in the Civil War of Navarre the town gave its support to the Prince of Viana, a cultured and a reader man who died before his time. It is said that someone put poison in a book he was reading and which he was passing its pages after licking his finger. 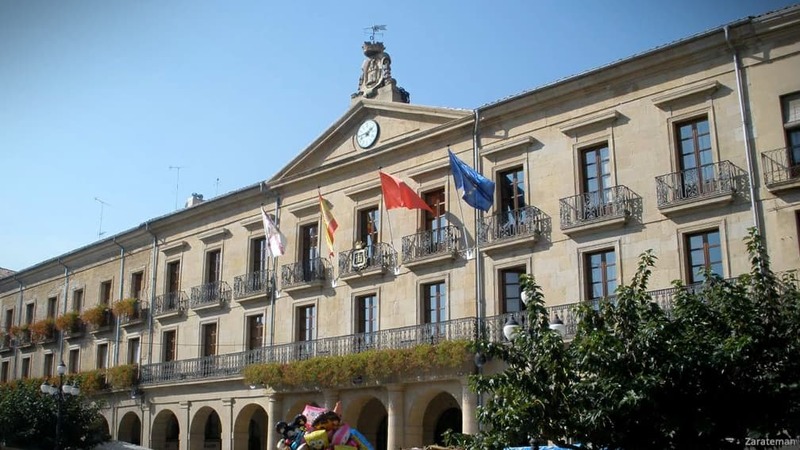 The fact is that Tafalla flourished and became a famous and important city, and that, of course, is evident in its streets and buildings. 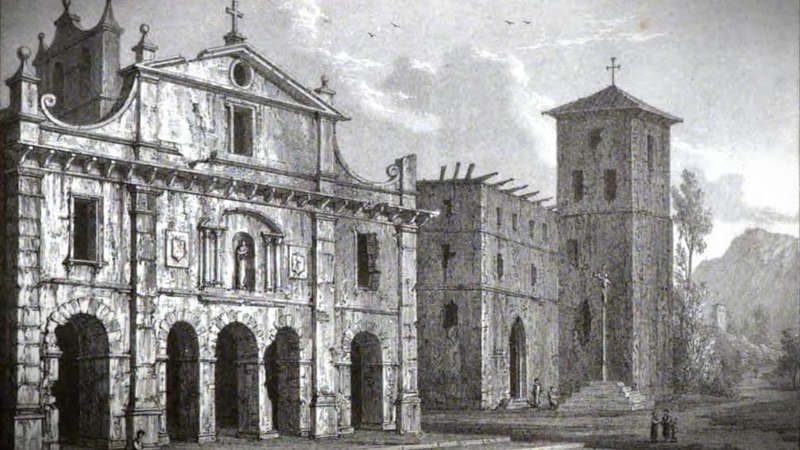 The Church of San Pedro, without going any further, was already standing in the twelfth century, and what today is Santa Maria was erected in the thirteenth century with the name of San Salvador, although it was reformed in times of the Renaissance. 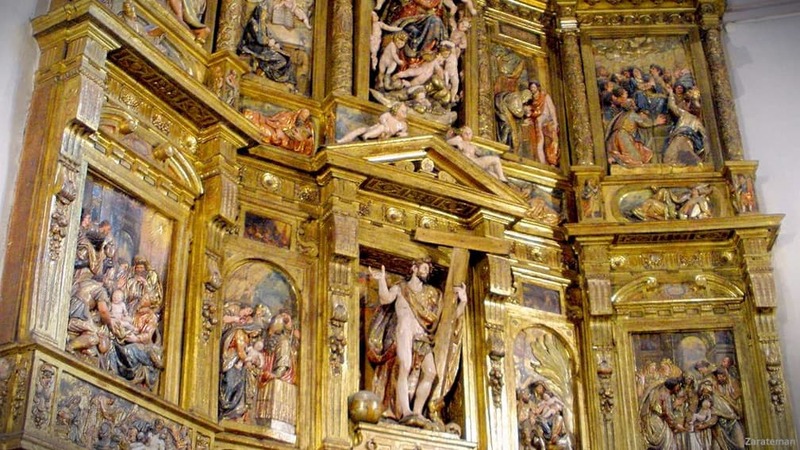 You should go inside to see the altarpiece by Juan de Anchieta, a sculptor compared with Michael Angelo. 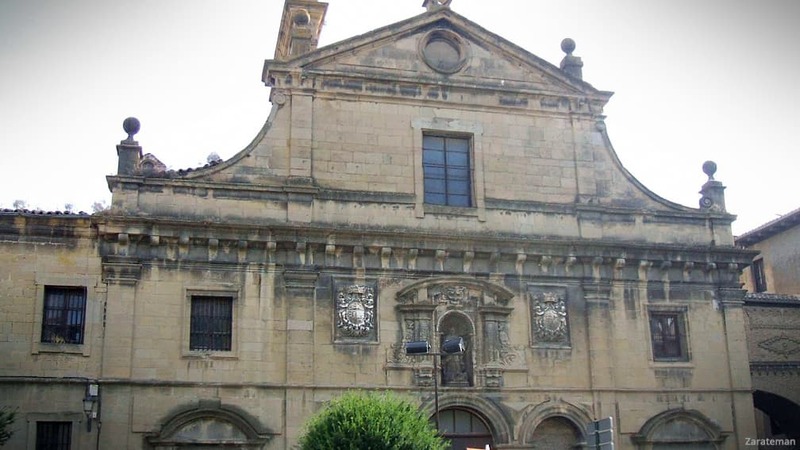 The Convent of the Recoletas is already fully Baroque, and it was built near the Casa de Los Mencos, which was the palace of its promoters; that’s why there is an arch that connects the two buildings. 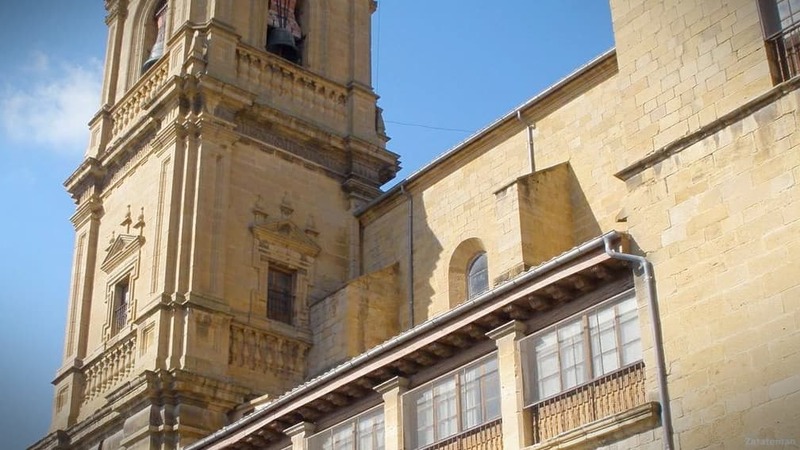 Also monumental and stately is the Casa del Cordón, a Renaissance building that was once occupied by the marshals of the kingdom and other people of much power, and today is full of books as it is a public library. Did you like this audioguide? ¡Share it!